Often known as the underwater gardens, the Maldives islands are the very essence of the dream holiday island with white sandy beaches. In fact, here you will find what are probably the very best beaches in the world, with white sand and bright, cyan-blue seas that look straight off a movie set. It is the underwater extravaganza that really sets the Maldives apart from more or less anywhere else in the world though, and whether swimming with a shark or just enjoying the underwater beauty that surrounds each of these islands, you will find a new-found appreciation for the majesty of nature after spending time here. A resort that spans its own island, this is a resort that delivers something special from the moment you arrive, In fact, arriving itself can be a whole adventure of its own, whether you choose the luxury yacht transfer from Velana International Airport or the faster, but exhilarating seaplane transfer. Either way as you approach, the beach villas come into view and the truly spectacular beauty of the whole island hits you. The 36 villas are spaced out along the beach to provide unrivalled privacy, nestled between the trees with their own veranda for dining and an envious stretch of pure white sand in front of each one, they are stunning. Inside, good use of natural materials and plenty of space create a light, cool environment that is both opulent and homely. The layout of each villa is cleverly done, focusing you towards the views across the beach naturally, with huge windows bringing that stunning exterior into the villa. There are 4 restaurants on offer, with outdoor and indoor eating and both local and classic cuisine on offer. Reethi, with its Asian/French fusion menu is particularly amazing, as you sit on a pier reaching out over the ocean, it is an incredible evening experience. The resort includes an excellent spa facility, offering high-quality service for a memorable experience, while unusual additions include an artist’s studio to let your creativity flow, tennis courts and a climbing wall. O truly exceptional resort that really is paradise made real. If you have an image of a vacation on the Indian Ocean, it’s probably of those clear blue seas, white sandy beaches and over water villas that advertisers love so much. 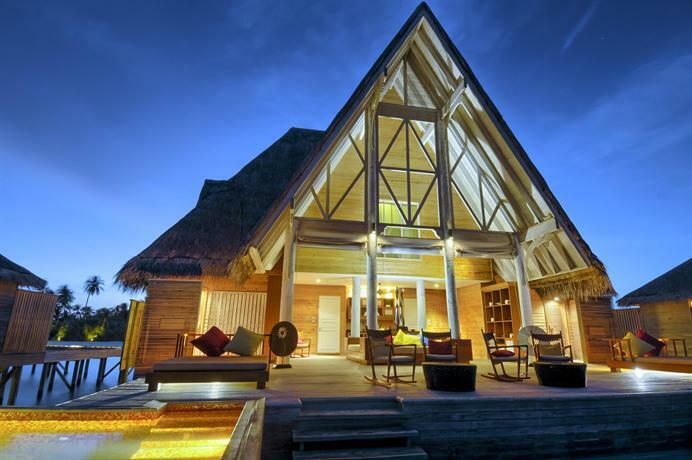 Gili Lankanfushi is that dream, with its jetties forging out over the crystal-clear waters, connecting the over water villas with the white sand of the beach and the lush vegetation beyond. While the beauty of the surroundings take your breath away every morning no matter how long you stay, there are other things to do as well, with a cinema, a library and a pool offering distractions from the serious business of relaxing in your hammock, snorkelling or simply admiring the view. Each villa is spacious and thanks to large windows and bright furniture, light and airy inside. Clever use of natural materials throughout bring traditional style and a touch of modernity to everything, creating a uniquely relaxing and calming environment. 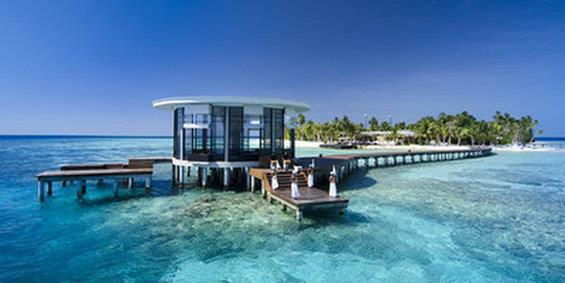 There is a choice of three restaurants, A Japanese restaurant right on the sands, a wonderful restaurant and bar sitting in shade at the edge of the beach, and the amazing Overwater bar, set out into the cyan-blue waters and perfect for evening dining in a more relaxed atmosphere. A truly amazing location, and an unforgettable place to stay. 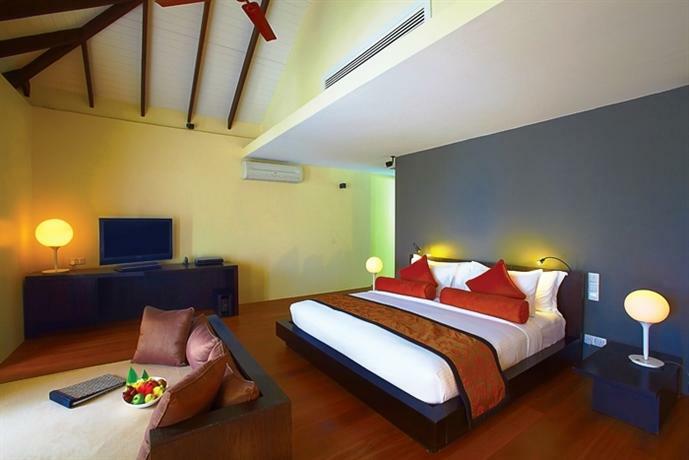 Sited on the stunningly beautiful Dhevanafushi island, at the south end of the Maldives, this resort makes full use of the setting, with glorious beaches and clear turquoise water providing the perfect backdrop to a luxurious and enjoyable stay. This is a resort that has an astonishing attention to detail, with traditional design and natural materials throughout, but so well finished and honed to perfection. This is luxury on a grand scale. 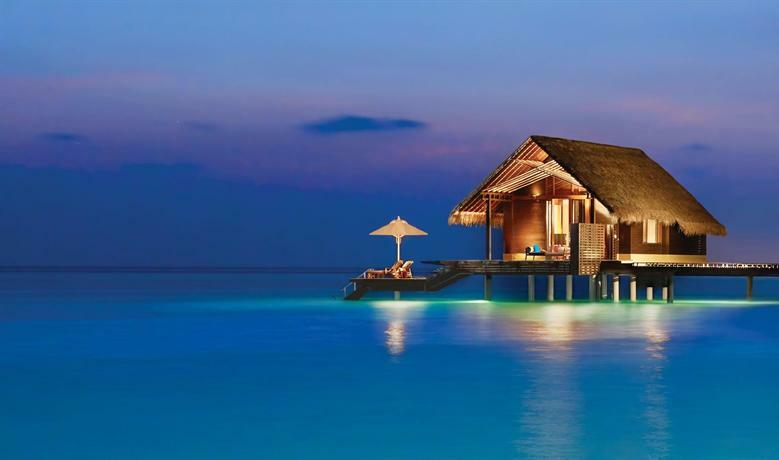 The villas come in two flavors, land villas and sea villas. Land villas get a private beach and a lot of space, sea villas sit out over that crystal-clear water and offer a unique experience all of their own. Sumptuous fabrics and beautiful natural materials dominate here, creating a wonderful, cosseting environment that manages to feel special throughout your entire stay. You never get used to it. There are two restaurants, a Japanese restaurant on the shore, and a less formal dining experience that offers a variety of cuisines, both provide first class service and excellent food. In the evenings, there are often barbecue events, using fresh fish caught on the island, and as an informal dining experience is probably the best of them all. Aside from that, there are plenty of activities provided, including various water sports with professional tuition for snorkeling, along with jet skis, water skiing and so on. For those looking to relax, there is a fantastic spa to pamper and take care of you. 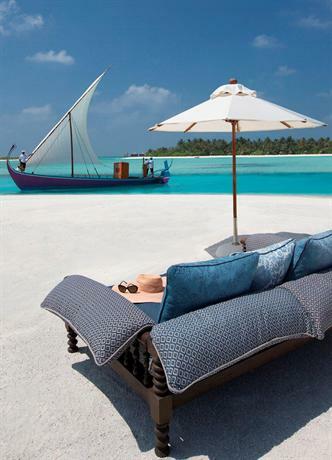 An exceptional resort that has everything an Indian Ocean vacation needs. Found on the impressively beautiful Baa Atoll island, on the doorstep of Hanifaru Bay, it is a setting designed to relax you and show off some of the world’s most stunning vistas. With swaying palm trees, white sands and a sea that is that wonderful shade of turquoise that looks like it was photoshopped in pictures, but really does look like that, it is paradise made real. A choice of accommodation includes beach based villas, right on the sand and with their own pools, or over sea villas with that unique experience that only such accommodation can provide. Whichever you choose, inside opulence rules, with natural materials and high-quality fabrics providing a luxurious experience for all guests. Dining is the real highlight of this resort though, including the spectacular under water restaurant where you can enjoy your meal and watch the fish swim around you through the glass windows. It’s not to be missed, and as with all 7 restaurants, the food itself is excellent and the service always superb. Sailing and other water sports are on offer for the active, or for those seeking to relax, a world class spa facility is available for some pampering. This is a resort that takes intimate to a new level, it covers a tiny island, just 123 meters by 180 meters, and is one of the most romantic hotels in the region, perfect for an anniversary or honeymoon. Unlike many larger resorts, it brings a homely quality to the stay that is emphasized by the excellent service. Attention to detail and a friendly approach mark out this resort’s service, and it really does make a difference. With just 20 villas, in resort terms this is small, but the villas themselves are spacious and beautiful in their own right. Each villa is hidden away by the palms and vegetation, providing the kind of privacy that can easily convince you that you have an island all to yourself. Décor is smart, with natural woods and subdued colors, but manages to retain that essence of home, rather than a hotel room. There are a few dining options, including two restaurants, one overlooking the shore and another over the clear water of the lagoon itself, service and food remain exceptional with either choice, However, for those looking to maintain that privacy, an in-house dining service is available 24 hours a day, providing the fine dining experience without leaving the confines of your own villa. Perfect for the romantics. Diving and snorkeling are available, as well as sailing and other watersports, while for relaxing the exceptional spa facilities will soon relax both body and mind. A complete experience with a more intimate feel, this is a resort that you will never forget. Sitting on the island of Bolifushi, located in the north Malé atoll, this resort takes a different approach to many. It’s all about the whole experience here, and this begins with their own air conditioned lounge at the airport. From there, a journey on the resort’s own luxury catamaran takes you to the mesmerizing beauty of the island resort itself, where you are greeted with traditional drum playing as you disembark. There are 89 villas, all individually designed, creating a unique living space for everyone, although the high quality of furnishings and service remain constant. 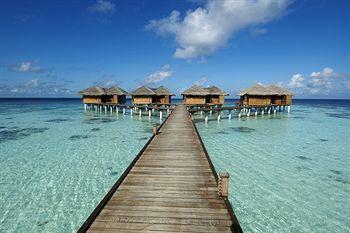 Each has their own swimming pool or, in the case of over water accommodation, direct access to the lagoon itself. There is a choice of 5 restaurants, from a bar and grill on the sand for lighter meals, as well as more formal dining, with the highlight being Swarna, with its exotic charm and incredible menu. Snorkeling, including a guided dive to a shipwreck, and various other watersports are all on offer, along with a world class spa for when you want to relax. Luxury, service and beauty effectively sum up this amazing resort. Located on the stunning Fedsu Island, surrounded by clear, turquoise water and featuring majestic white sandy beaches. Everything about the resort is designed to give you that feeling of escapism, you have your own paradise island to relax and enjoy and nothing can get in the way. Villas come in a range of sizes, and offer both on the beach and over water locations, all of them feature expansive use of natural materials and fine fabrics with splashes of color to create inspiring and supremely comfortable spaces for relaxation. Private pools for each and those stunning views make every day special here. There are 6 dining choices, offering a range of cuisines, from locally caught fish to gourmet pizza, service is of a consistently high standard and the food is excellent. A range of water sports are on offer, along with a gym and extensive spa, so whatever your preferences, there are options to suit. 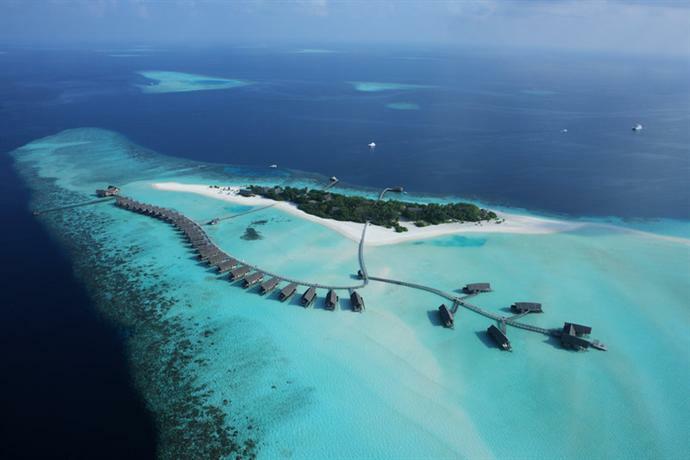 A real luxury stay on a particularly beautiful island, W Maldives has it all. A modern, private island, this is a resort that brings the privacy and escapism of your very own island paradise within reach, offering stunning accommodation and privacy in one of the most beautiful island settings you can imagine. Villas are spacious, very well equipped and decked out in the finest materials. Whether you choose on the beach or on the water, the same level of luxurious indulgence is there, although the on-shore villas, nestled as they are within the lush vegetation, offer a level of privacy on water villas, laid out in a semi-circle, simply cannot. A choice of 5 restaurants provide a varied dining choice, from formal to casual, with dining overlooking the clear waters definitely a highlight. There are various watersports on offer too for those looking for activity, while a small spa is available for those looking to relax. A picture-perfect island, with white sandy beaches and a lush green interior, although tiny in size is big on beauty. This is the heart of the resort, surrounded by coral reefs and perfect for the water sports enthusiasts, with stunning villas that offer traditional Maldivian style with sumptuous fabrics and stunning views. Inside the villas, we find plenty of space and both an iPad and GoPro cameras for convenience on your adventures. On-shore villas feature either a jacuzzi or pool, while on-sea villas have direct access to the water and that unique feel that only on water accommodation can bring. It’s all a nice blend of tradition and luxury, and those little extra touches really make the difference. A total of 4 restaurants is surprising given the size of the island, but they offer a good variety. All are small and intimate, Banzai, the Japanese restaurant, has just 6 seats for instance. High-quality food and excellent service are found in all restaurants, in fact service is exceptional throughout the resort. Diving, watersports and a spa complete the activities on offer, and again, offered with a personal touch that really touches on the whole experience. A personal trip is what this resort provides. When you want to escape from everyday life completely, there is perhaps no better way than by losing yourself on a tropical island. The Maldives is made up of 1200 islands, but few match the beauty of Makunufushi, it is breathtaking when you first arrive. Villas here are positioned over the water, each has a private terrace, and unusually for the region, take a minimalist approach to décor. Cotton drapes and whitewashed walls provide a simple backdrop to the stunning views outside, and they certainly never distract you, it’s a very easy place to find relaxation. Dining options are Ufaa, a thoroughly modern restaurant that specializes in Indian and Mediterranean cuisine in a lovely inland setting, and the Faru Bar that provides an informal setting for lighter eating right on the beach itself. Additionally, for those looking for more privacy, in-room dining is available with the same high standards of food and service. The primary activity is snorkeling or diving, with plenty of aquatic life to be found around the island, while the wellness center offers a full range of pampering and instruction for the mind body and soul, when you just want to take it easy.